P eter Purton was the Trade Union Congress’ disabilities and LGBT officer from 1998 until his retirement in 2016. A committed campaigner for LGBT rights since the seventies, his latest book, Champions of Equality: Trade Unions and LGBT Rights in Britain, is a comprehensive account of the crucial role that the trade unions played in the fight for equal rights. 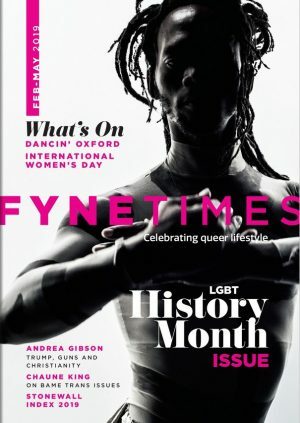 He spoke to Fyne Times about the lessons of history and the political future of the LGBT community. Would you say that credit for the trade unions in the fight for LGBT equality is long overdue? Yes, that’s one of the reasons why I wrote the book. It’s not entirely an accident that in the mainstream media and our community media trade unions are not the flavour of the month and haven’t been for a long time. This is very unfair given the role they’ve actually played, but it has led to all the histories of the LGBT community’s achievements being focused either on the work of charismatic individuals or lobbying groups – completely ignoring the contribution of anybody else. I think the exclusion is both accidental and deliberate, and the reason I wrote the book is to put that right. What have been the key historic points in terms of the unions’ role in the equality fight? I try to pick them out in the book. The general point was that in the mid to late 1970s, the unions responded to the demands of their own LGBT members to recognise that discrimination was a trade union issue and so began to adopt policies. In the 1980s they began to play a part in the national battles which affected the LGBT community. In the 1990s we moved to a situation where the trade union movement took up the fight for equality as a whole – LGBT equality in particular. That’s not a single event, it not Aids, it’s not Section 28; it’s not a single thing but a process through those various crises which highlighted the need to protect LGBT people against discrimination. How politicised do you think Prides across the UK will be this year? I wish I knew. My last direct contact with Pride in London was in 2016 when it was incredibly difficult to raise the kinds of issues that I think the LGBT community still confronts. Government policy, particularly austerity and the crisis in the health service – all of these things have a disproportionate effect on our community. These are political questions; they are the result of political choices. People have voted in a government that keeps saying sorry for things but never actually puts anything right. I don’t think the leadership of our community has recognised this or wants to recognise this. In the case of the big events – London, Manchester, and Brighton – they have become so completely tied to the coattails of their big sponsors that they’re terrified of doing anything that might appear to put them off. I hope that as we enter this Pride summer we’ll begin to see a change, but I’m not optimistic. Has there been too much infighting between groups campaigning for LGBT equality over the years? You can always point to that, especially in campaigns that have been going on for a very long time. You look at any campaign for changing the world, even if it’s just a very small part of the world, and of course people have different ideas about how you do it. 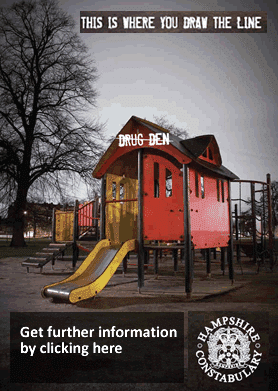 That goes on everywhere and it is true it’s been going on in our community. But I think the problem for LGBT people is that perhaps since the mass campaigns against Section 28, so we’re talking 30 years, we haven’t actually had a movement. Instead, people occasionally turn out together in solidarity – for example if there are homophobic murders. For something like the Admiral Duncan bombing a few years ago or the solidarity after the Orlando shootings, people will come together on the streets and demonstrate their solidarity. But that’s it – they don’t do anything more and there’s no ongoing work. 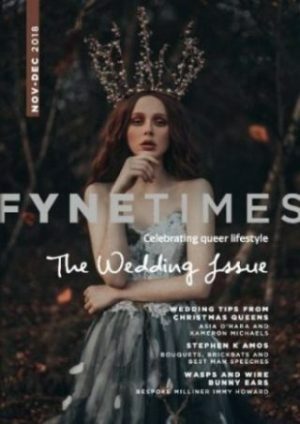 Has the Conservatives’ gay marriage legislation obscured an illiberal reality? Yes – it was a master stroke by David Cameron. It did away with decades of thought in the LGBT community, that whatever you did, you didn’t vote Tory. Of course there were gay people that did vote Tory, but they generally tended to be Tory first and gay second. But for the great majority of the community they were perceived as hostile. I think gay marriage has transformed that. The rest of their agenda – the recent Windrush generation scandal, hostile immigration policies and the lack of action on problems like knife crime – is, frankly, rooted in ‘They’re not our people, we don’t care.’ That’s crude, and it may not be true of all of them, but it stems from that approach and they’re not liberal. Gay marriage has given them the cover that enables them to get rid of that label. 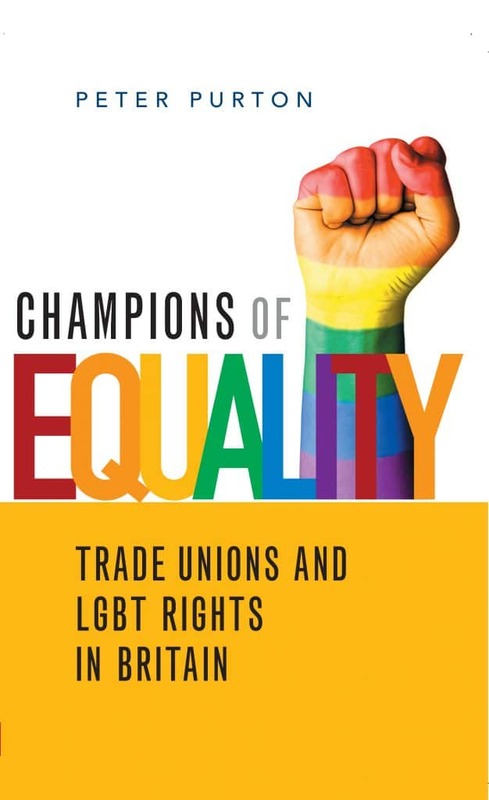 Champions of Equality: Trade Unions and LGBT Rights in Britain is out now.